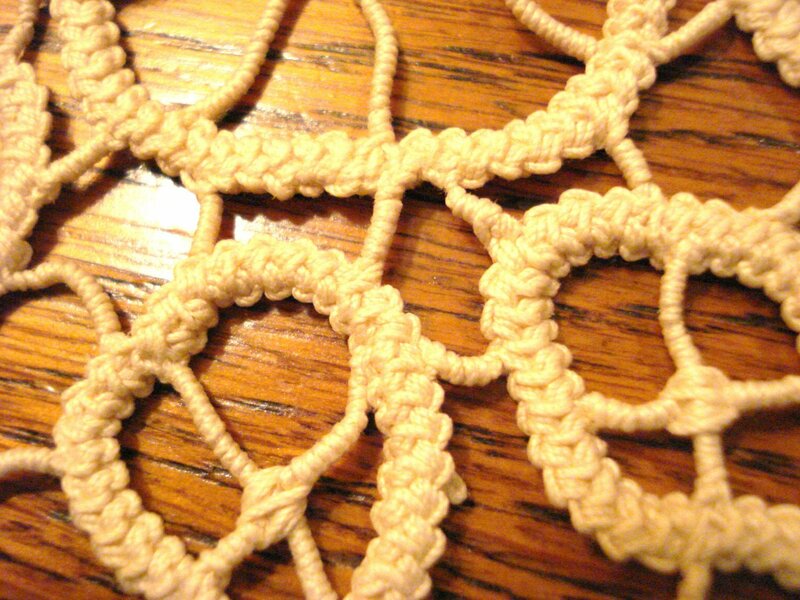 I am calling this macrame because it is the closest technique I know of to describe these doilies. They are tiny, 5.5 inches, and very tightly knotted, stitched or whatever. If you can blow the photos up you will see a definite macrame looking series of knots. The two pieces are totally different patterns but identical technique, color and size. Both are light taupe and have a spidery look. If I were keeping these, I'd frame them against a dark background and hang as part of a wall grouping.